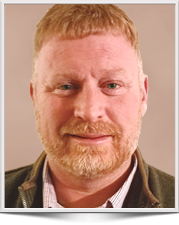 Greg has over 12 years of experience working in the environmental management field for the transportation and manufacturing industries. His responsibilities have included environmental management activities, environmental training, as well as permitting and sample collection. Greg is committed to providing clients with responsive and timely service. Greg provided groundwater and soil sampling for this client’s site in West Virginia. Greg conducted stream sediment and surface water sampling for this site located in Virginia. Greg conducted groundwater sampling and associated post closure items for multiple sites. He also supported the SVE/Sparge system install. Provided State and Federal Coal Combustion Residuals (CCR) Rule sampling at the client’s groundwater monitoring wells as part of our project support for this power plant in Kentucky.